In the recent Philadelphia County Court of Common Pleas decision in the case of Kromferd v. Sugarhouse HSP Gaming LP, PICS Case No. 14-2015 (C.P. Phila. Co. Dec. 9, 2014 Massiah – Jackson, J. ), the court ruled that a Defendant casino’s duty of care to a customer who fell ill was solely to provide first aid and summon medical assistance. As such, the Defendants demurrer to the Plaintiff’s Complaint was sustained, in part, with prejudice. 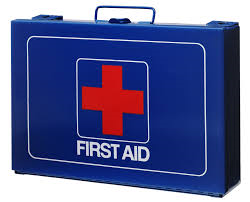 According to a summary of the Opinion, when the Plaintiff collapsed at the Sugarhouse Casino in Philadelphia, employees of the casino commenced first aid on the Plaintiff while waiting for the paramedics to arrive. The fire department rescue personal eventually arrived and transported the Plaintiff to the hospital where he later passed away. The Plaintiff filed suit alleging that the Defendant casino and its employees breached their duty of care in failing to swiftly and adequately begin resuscitation efforts and/or summoning other employees who could render proper assistance, among other allegations. The trial court ruled that, in Pennsylvania, the Restatement (Second) of Torts §314(A) has been adopted, outlining the duties owed by a defendant possessor of land to its patrons on premises open to the public. The trial court rejected Plaintiff’s allegations that the Defendant’s employees failed to begin or perform resuscitation or to use an AED device. The trial court in Kromferd ruled that the Defendant’s duty to the Plaintiff was solely to provide basic first aid and to summon medical assistance. The trial court also ruled that the Defendant, even though it was a corporate Defendant, was statutorily immune under the Pennsylvania Good Samaritan Civil Immunity Law, which statutes grants immunity to “any person” who renders emergency care to another. As noted, the demurrer filed by the Defendant was sustained in part with prejudice. I do not have a copy of this decision. Anyone wishing to secure a copy of this decision may call the Pennsylvania Instant Case Service of the Pennsylvania Law Weekly at 1-800-276-7427 and provide the above-noted PICS Case No. and pay a small fee. Source: "Case Digests" Pennsylvania Law Weekly (December 23, 2014).